New York State's Catskill mountains cover almost 300,000 acres of land, every inch of which is protected by the Constitution of New York State. A series of 98 mountains over 3,000 feet in height, the Catskills have long been a vacation destination. Blanketed by a variety of deciduous and coniferous trees, visitors to the area in the fall are treated to a palette of rich colors as the blanket of verdant foliage turns to brilliant color with the first frost. A deciduous tree that grows in excess of 100 feet in height, the leaves of the American Beech are dark green and sparsely toothed with small teeth. A shade-tolerant tree, the beech is most often found enjoying the canopy cover of taller trees. Within the Catskills, the tree can be found near the sugar maple. It is rare to find anything growing under a beech due the to the thick canopy and the shallow root system that takes in all moisture nearby. The tree provides nuts that feed opossum, black bears, deer, rabbits and squirrels. 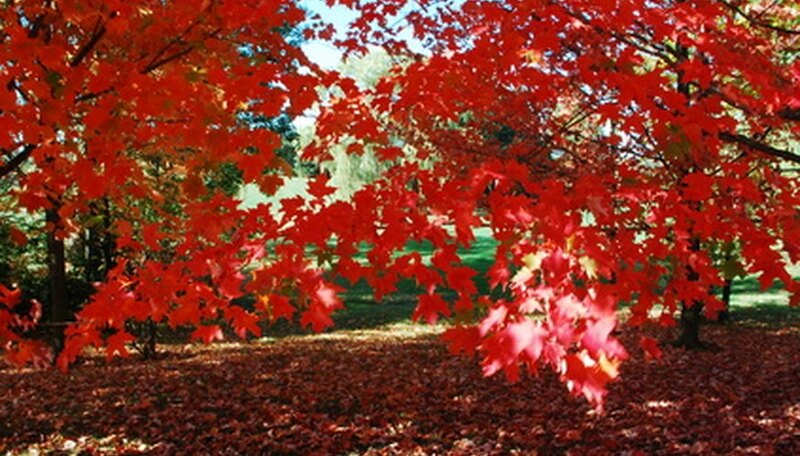 The sugar maple is a hardwood native of the forests of New York and most of the American and the Canadian northwest. The leaves are deciduous with five distinct points and can be seen on the Canadian national flag. The sugar maple is the tree of choice for maple syrup production as the sap, which is stored in the roots of the maple, rises up in the spring and is then tapped and boiled into syrup. While there are 125 varieties of maple, the sugar maple is one of the most colorful when fall arrives, as it tends to color unevenly, giving the tree unique and picturesque look. Eastern hemlock, an evergreen conifer, is commonly 60 to 70 feet tall and considered very shade-tolerant. With the Catskill mountains almost entirely covered with heavy tree canopy from a variety of 100-foot and taller trees, hemlock seedlings can survive in as little as 5 percent full light. Eastern hemlock establishes under dense sugar maple canopies and can sometimes replace that species. Because of its thin bark and shallow roots, the tree is very susceptible to fire. A long living tree, hemlocks can thrive for up to 800 years. The red oak tree is found throughout the northeast. The bristle-tipped leaves will turn red in the autumn. A quick grower, the red oak can climb up to 2 feet a year. Often simply called "red oak," the species found in the Catskills is actually the northern red oak, different from southern red oak (also known as Spanish oak). The red oak has moderate water requirements and massive branches. A brilliant fall tree, the colors are yellow-brown to red and bright red. Tom Nari has been writing professionally since 1998 and has written extensively for a variety of websites. He has coached competitive swimmers and triathletes and holds an additional degree in Kinesiology Theory, specializing in nutrition and resistance training. Nari holds a Master of Arts in creative writing from Loyola Marymount University.